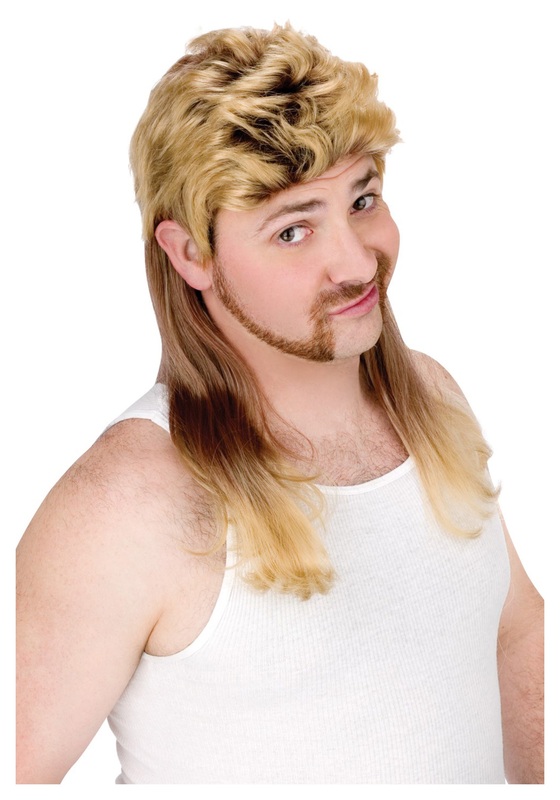 All business in the front, all party in the back… it’s everyone’s favorite hairstyle, the mullet! A lot of amazing trends came out of the 1980s: oversized shoulder pads, parachute pants, legwarmers… But probably the most beloved and enduring is the mullet, that multi-purpose hairstyle that combined business professionalism with party-loving free spiritedness. Some of the greatest entertainers of the day sported this slick style—George Clooney, John Stamos, Billy Ray Cyrus… even MacGyver! If you want to capture this chic look and bring it back into the 21st century, we’ve got the perfect solution: the White Trash Mullet Wig. This blonde wig is made of 100 perfect synthetic hair and comes with an elastic mesh interior for easy fit. It is sure to spruce up any look, whether you’re dressing up like a rock star, a southern hillbilly, or even just a janitor trying to find his long-lost family. After all, everything’s better with a mullet!